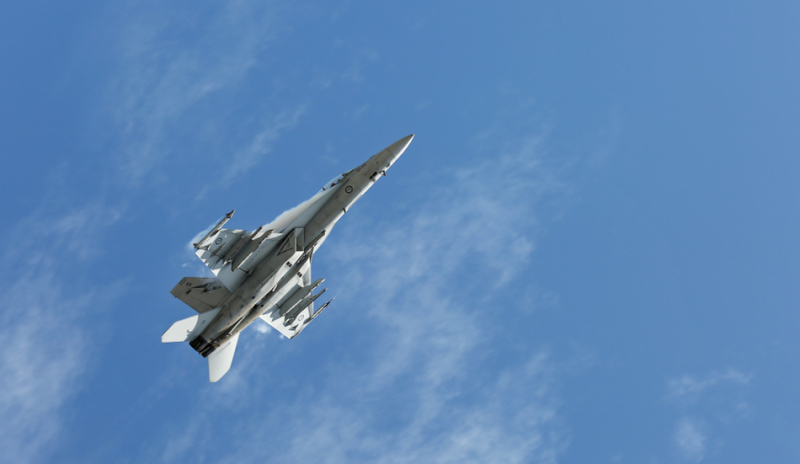 The US State Department has approved potential foreign military sales to Australia for F/A-18 Super Hornet upgrades and 120mm tank ammunition, worth a total of US$151.4 million. The Defense Security Cooperation Agency delivered the required certification notifying Congress of this possible sale on 10 July 2017. The government of Australia requested the possible sale of 32 Multifunctional Information Distribution System Joint Tactical Radio Systems (MIDS JTRS) with four channel concurrent multi-network (CMN-4), and 39 AN/ALQ-214A(V)4 Countermeasure Systems. This will also include all system integration and testing, component improvement, test and tools equipment upgrades, support equipment replenishment, supply support, publications and technical document updates, personnel training and training equipment upgrades, aircrew trainer device upgrades, US government and contractor technical assistance and other related elements of logistical and program support. The total estimated program cost is $101.4 million. This equipment will help the Royal Australian Air Force better communicate with and protect its F/A-18 aircraft, and the addition of MIDS JTRS will accomplish the goal of making US and Australian aircraft more interoperable when supporting operational forces. Australia also requested the possible sale of 6,030 rounds of M865 120mm Target Practice Cone Stabilised Discarding Sabot-Tracer (TPCSDS-T) Tank Projectiles and 8,610 rounds of M1002 120mm Target Practice Multipurpose Tracer (TPMP-T) Tank Projectiles. Also included are US government technical services, technical data and other related elements of logistical and program support. The total estimated program cost is $50 million. The proposed sale of 120mm tank ammunition will improve Australia’s capability to meet out-year operational readiness and training requirements. Australia will use this ammunition to help sustain necessary training levels for its tank operators.